Having had some very kind compliments on the pictures I've posted of my own library here at Book Lovers Melbourne base camp, I thought it would be great to see some of our friend's home libraries, book-nooks or just cool bookshelves! 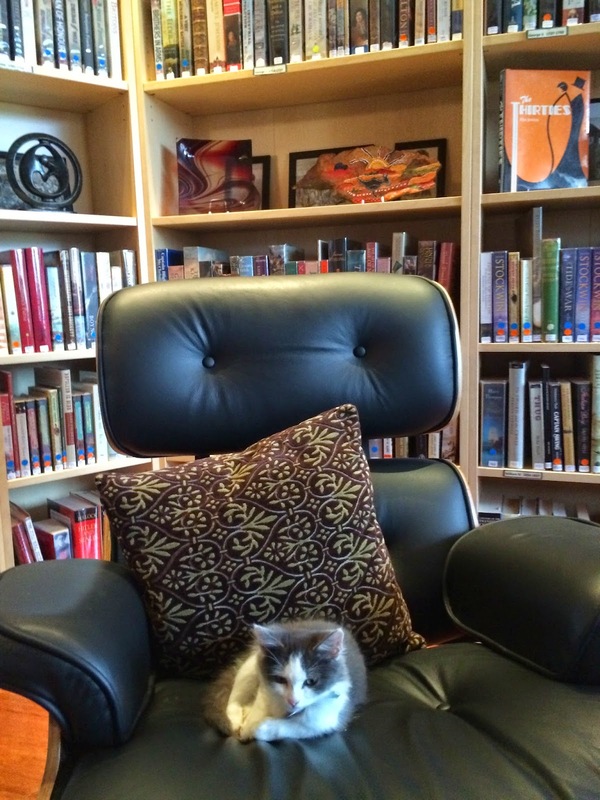 There's something wonderful about having your own personal reading space, no matter what size it is. For me it's like a little private world that opens into untold other worlds. Private as it may be, sharing it with other book lovers is one of the coolest things about creating that perfect bookish spot. With this in mind, we'd really like you to share yours with us! Just take a pic or two of your book-space, (or 'shelfie' as I am now told they are called...) send it to bookloversmelbourne@gmail.com and we'll put them up on the page for everyone to envy and admire!! One of the wonderful things about writing on a site like Book Lovers Melbourne is that I can drive around Melbourne looking for new book stores and justify it as "work" (well, unpaid work anyway...). This week I've been lucky enough to discover somewhere new, to me at least, Book Talk in Richmond. Actually they've been in the same place for about twelve years I was told, which just goes to show it's still worth looking for new additions to our Listings Page. 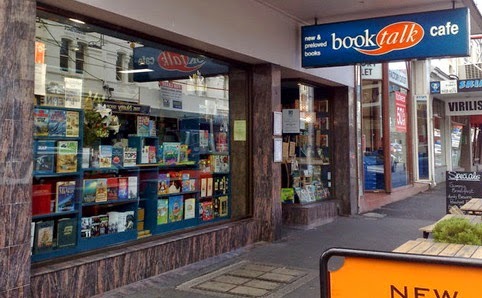 Book Talk is situated about half way between Richmond and East Richmond train stations, on Swan Street, just a little west and over the road from the icon Dimmey's clock tower. Contrary to popular misconception, there are places to park in this part of the city if you travel by car. There's a car-park behind Coles a little way down the road and one or two other spots, so don't let parking worries be an excuse! The store itself is responding well to modern business challenges by combining a wide variety of second-hand books, selected new books, and a cafe, which when I visited at lunchtime was very busy. A great spot to buy your book and read it! I was lucky enough to chat with Natalie and Sue who told me a little about the history of the store and were very enthusiastic about what it had to offer. 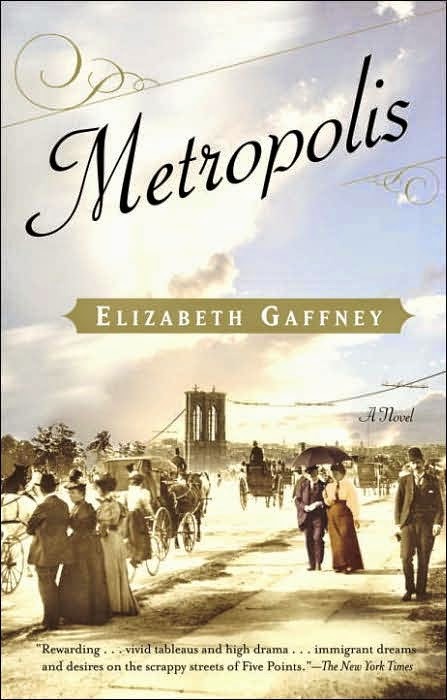 I bought a second-hand copy of Metropolis by Elizabeth Gaffney during my visit, being unable to resist a bit of historical fiction. Please pay them a visit and see what you can find! 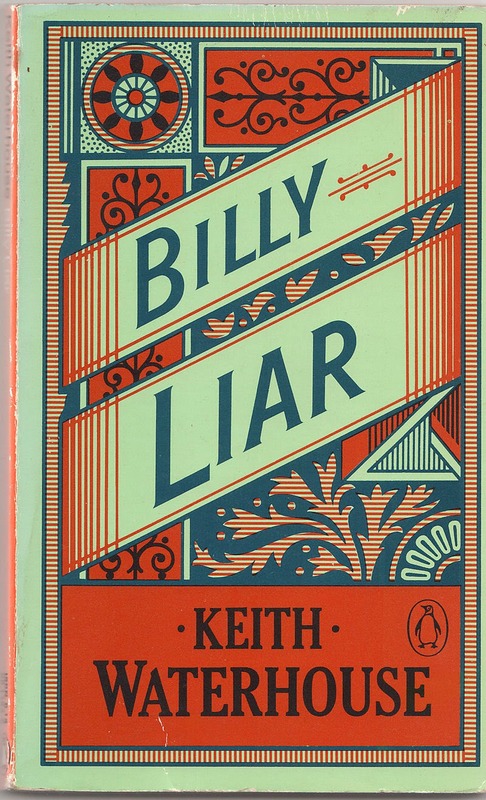 I also had time to pay a visit to another favourite bookstore from our listings page on my way home, The Grub Street Bookshop, where I picked up four new acquisitions, Billy Liar by Keith Waterhouse, Humphry Clinker by Tobias Smollett and The New Men by C.P. Snow, all in Penguin format, and a copy of Mayflower by Nathaniel Philbrick. So a pleasant day of book fossicking for me, and I hope, some new ideas for reading and where to buy books for you! Back in March 2014, we published what has turned out to be our most popular post ever: Top 10 historical fiction of all time. Read guest Kavity's review of #3 on this list - Hilary Mantel's Booker winning Wolf Hall. 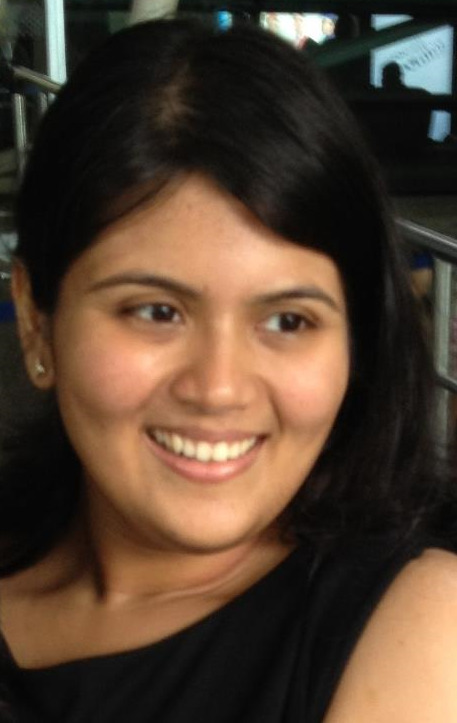 Kavity is a popular blogger on Namesake: Making the most of all that comes where she writes about books, politics, work, life, the universe and everything in between. She has also penned multiple quirky short stories and thought- provoking poetry... What a talented blogger indeed! Tudor history, particularly that of the notorious Henry VIII who had a total of six wives and accomplished the break-away of the Church of England from Rome, must be one of the most researched, written about and filmed stories in the history of historical fiction. And, there-in lies Mantel’s challenge. Perhaps that’s the reason she picked Thomas Cromwell as her protagonist, rather than one of the King’s wives, or Thomas More or Thomas Wolsey or one of the Seymours (the novel is after all named after the Seymour family seat*). Or, perhaps, she wanted to give Cromwell, the underdog, a chance, as a practical, smart, opportunistic courtier rather than as the scheming, cunning, self-centered villain he has always been made out to be. The novel starts off unflatteringly, with a broken-bodied and bloodied 15-year old Thomas Cromwell curled up outside his sister’s house, after having endured an almost-to-death beating at the hands of his father, Walter Cromwell. And, you are left wondering whether you would have to endure 100 pages of Cromwell’s working-class life before he evolves into one of the most important people in the Court of England. Thankfully, we are soon transported to the history that matters. Cromwell, through business acumen and sheer hard-work, and by ensuring that he is in the right places at the right times, becomes Cardinal Thomas Wolsey’s right-hand man; and, despite the Cardinal’s fall-out from favor with the King and his eventual death, slowly rises in Court to become the King’s Secretary and most trusted advisor, facilitating the annulment of his first marriage with Catherine of Aragon, and his eventual marriage to Anne Boleyn. The beauty of this book really lies in that Cromwell doesn’t have a single face but is an amalgamation of ambition, loyalty, revenge, sympathy and a weird sense of principles. Cromwell, who “arranges his face” and never lets his emotions be seen by anyone; Cromwell, who knows that he may face the same fate his Lord Cardinal did, at the hands of his irrational King; Cromwell, who hopes that Anne Boleyn, the King’s most-infamous mistress, and second wife, would use the silver forks he presented her for New Year’s for eating and not for sticking into people; Cromwell, who wants to bring about the ruin of the Courtiers who decimated his Lord Cardinal. But, it is not all about Cromwell. Where she paints Cromwell grey, Mantel takes a clear black-and-white stand on the spoilt, wavering, adamant, stubborn King Henry VIII. While reading this book, I have sometimes wondered how interesting it would be if we could have stories from that time written from each of these characters’ perspective – how dramatically different each one would paint this story. Perhaps, someone will try to tell this story through Henry VIII’s eyes. That would be interesting. Wolf Hall is a brilliant book. But, there is a flip side to it. Mantel’s writing technique can be tedious to any reader at first. She uses “he” liberally without proper nouns, when referring to one of two people in a conversation, and you are left wondering who she is referring to. It takes time to get adjusted to her writing technique, to identify the “he” to be Cromwell in most cases. The lack of quotation marks in the dialogues doesn’t help the cause much. Perhaps, that’s her way of bringing abstraction into history, to remind the reader time and again that no matter how well-researched her piece might be, history can never be accurate. For, history is written by the victor, and he writes it the way he wants to write it. I am inherently wary of award winning books, even if they are historical novels, for they tend to be painfully long and laborious, endlessly descriptive, stretching issues that can be spoken about in ten words to at least ten pages. But, fortunately, Wolf Hall overcomes has none of those shortcomings, because Mantel ensures there is humour in those pages, some not-so-subtle philosophical nuggets, a new tone of characterization to every person she talks about, a reason to look forward to more of the book even though the story is known to all. In fact, Wolf Hall is a book you will regret for having finished, for then it suddenly ends, and you are left with nothing more to look forward to. And, so you would pick up and finish Bring up the Bodies. And then, you would wait with bated breath for the last in the series, The Mirror and the Light, just like I am waiting. The original manuscript of Les Misérables!!! Nothing enrages a bibliophile more than book-burning, that tried and tested tool of oppressive regimes since books first came into existence. Far from being the first (or sadly the last) the Nazi regime in 1930's Germany was simply adapting a much used method of suppressing the dissemination of ideas when, in 1933 the German Student Union began it's literary purge. I recently watched The Book Thief, (I know, I should have read the book first) the movie adapted from Australian author Markus Zusak's novel of the same name. As well as the issues it tackles of the oppressive nature of the Nazi regime for the average German civilian, there is of course a theme of the repression of the written word. In Steven Pinker's book The Better Angels Of Our Nature, posted about here recently, the author puts forward the theory that the spread of the written word and literacy across our species has been one of the defining areas of the 'civilisation' process. Reading gives us the ability to walk in another's shoes, to share ideas, and experiences we might not otherwise be exposed to. I'm a firm believer in this theory, and by extension, the theory that repression of literature is always a backwards step for humanity. Obviously the Nazis disagreed, or thought that such a wonderful tool as a book might allow people to 'think' their way out of accepting the horrors of fascism. Being jewish, arguably the greatest scientific mind of the early 20th century was simply unacceptable reading in Nazi Germany. 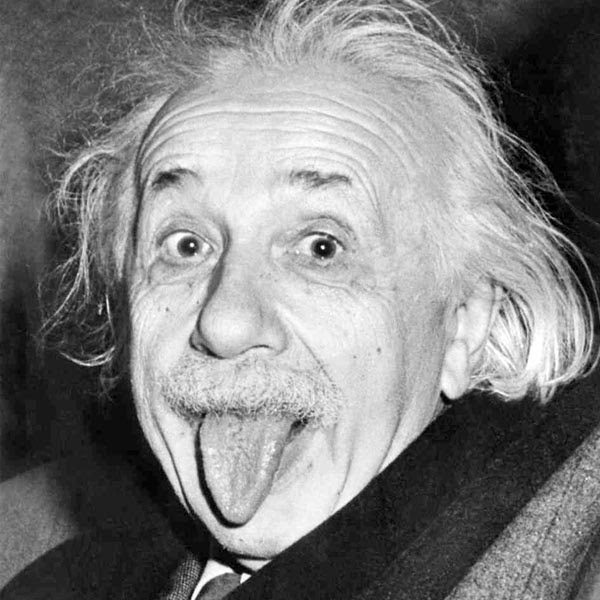 Fleeing to the U.S. in 1933, Einstein was able to become quite possibly the world's most famous scientific name in spite of the repression his writing suffered at home. The founding father psychoanalysis, Freud was an Austrian by birth. In 1930 he was lauded as one of German literature's greatest contributors, three years later under the Nazis his books were being burned. He later famously quipped... "In the Middle Ages they would have burned me, now they are content with burning my books..."
Long dead before the rise of the Nazis, Lenin's past role as leading figure of the marxist movement and one of the father's of the Russian revolution, unsurprisingly put him high on the list of undesirable authors. No big surprise here, Marx may have been one of the principle architects of modern social science, but his writings also went on after his death, to fuel the rise of social doctrines and dictatorships that opened the flood gates for more atrocities against humanity than even the Nazis managed to tally up. The War Of The Worlds, The Time Machine, The Invisible Man. None of these sic-fi classics could keep Wells off of the Nazi banned list, thanks to his socialist and pacifist leanings. 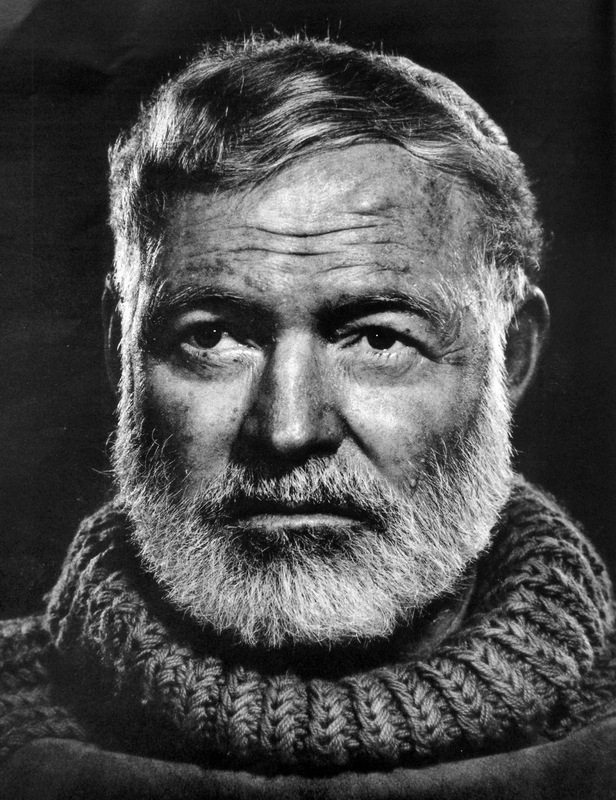 Hemingway had famously been on the anti-fascist side during the Spanish Civil War but even before he munched on cigars whilst whistle-stop touring the front lines of Communism, he was banned by the Nazis for his socialist leanings. Book burnings have sadly continued to take place since the Second World War. Though much less common, they are still occasionally a part of the arsenal of oppression. There is a reason. Books and literacy are oppression's strongest enemy. You know a holiday has been perfect when you've finished your latest read, end to end, in between all the other activities one's meant to do while away. Melbourne is now in the throes of its miserably cold, wet, dark winter and the husband and I decided it was time for a quick getaway to sunnier shores. 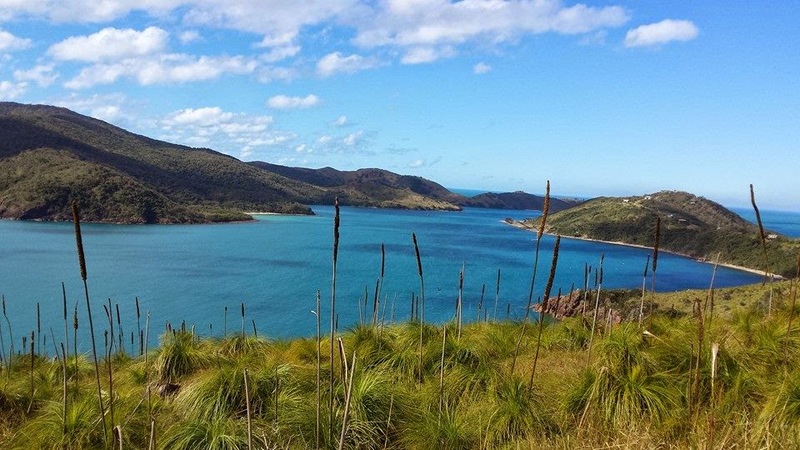 So off we scrambled after work on Friday to catch a flight that would take us up to Keswick Island off Mackay, at the southern tip of the famed Whitsunday islands. For this quick weekend getaway, I packed my Kindle (unfinished books include Nate Silver's "The Signal and the Noise") and my latest Christie from Melbourne Library "Murder at the Vicarage". 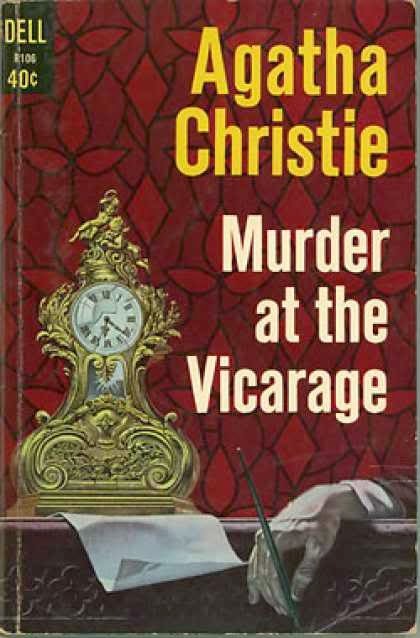 Murder at the Vicarage is the first novel featuring Miss Marple and her shrewd intelligence (She did appear in a short story before this: "The Tuesday Night Club"). In this early appearance, Miss Marple's character is quite different to how she appears in later books such as 4.50 from Paddington or Mirror Crack'd from Side to Side. She is one of those nosy and gossipy neighbours who misses nothing. Although the people in the village of St Mead like her, they do often get tired by her nosy nature :) In later books, she morphs into a slightly more modern, kinder version of herself. Life in this sleepy British village in between the wars brings back memories of my childhood in a small Indian town in the 1980s. Neighbours know every detail of each other's lives and the slightest deviations from the norm send tongues wagging. Everyone in the village goes to the same church and are largely amiable, but several characters seem to have something at least slightly suspicious in their lives. Nothing important ever really happens here, but gossip is rampant. So when the much disliked church warden is found murdered in the Vicarage while the Vicar is away, there are multiple suspects, many questions to resolve and of course multiple people who are sure they have the correct suspect. When someone confesses to the crime soon after, it seems an open and shut case. But someone else soon confesses too and we are back to square one with numerous mini-mysteries to solve. Who called the Vicar away by telephone on a false pretext? Who threatened the nosy neighbour to not meddle into other people's affairs? What was in the mysterious suitcase the archaeologist's secretary was seen carrying into the woods? Why was a shot heard from the woods when the body was found in the Vicar's study? Why did the elegant newcomer-lady-in-town meet the murder victim the night before the murder? Why would three different people including the local curate confess to the crime? Why does an anonymous letter tell the Vicar to "watch his wife"? Cleverly placed red herrings and clues abound in this delightful read and it has been the perfect holiday mystery novel - light, interesting, engaging and quick. 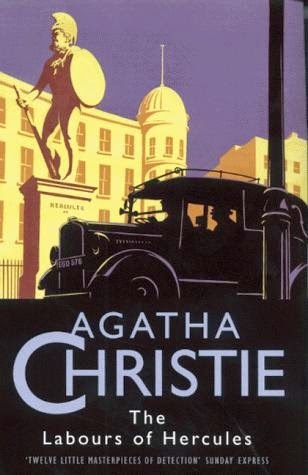 While I wouldn't rate it as high as her later Miss Marple works, this is nevertheless another great one from the Queen of Crime. I've been lucky enough to add six new titles to my collection this week, thanks, once again to Elizabeth's Bookshops in Perth, who, in spite of a listed delivery time of 3 to 5 days, managed to deliver my books within 48 hours of purchasing them online! Once again apologies to my more local much-loved bookstores but I've simply not been able to get out and physically fossick this week. I have though restricted my online shopping to second-hand independent stores. All six titles are in Penguin and nothing costing more that $10! They are: My Friend Maigret by Georges Simenon; The African Queen by C.S. 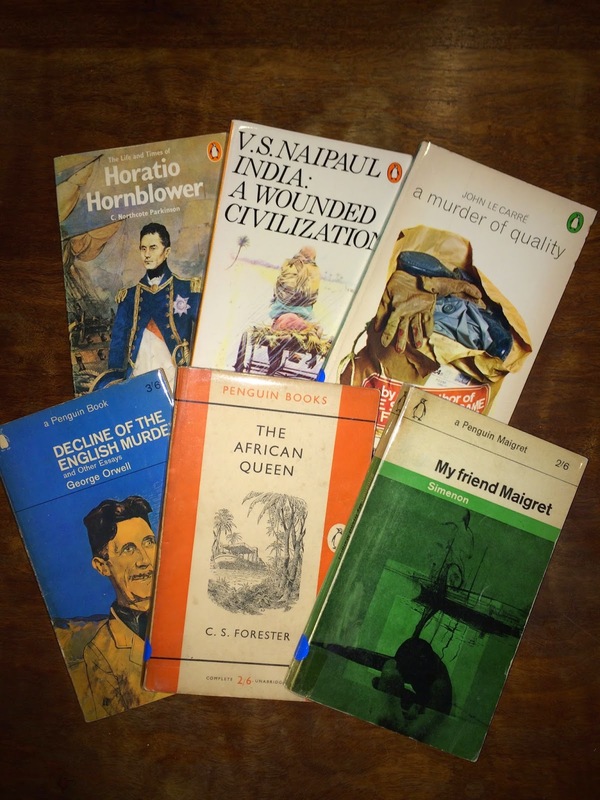 Forester; Decline Of The English Murder by George Orwell; A Murder Of Quality by John Le Carre; India: A Wounded Civilization by V.S. Naipaul and The Life And Times Of Horatio Hornblower by C. Northcote Parkinson. Can't wait to get into them! Also this week I finished two books, one I'd jumped into for some light relief, Agatha Christie's The Labours of Hercules, a great little collection of Poirot stories to give me some respite from the much heavier (both physically and in terms of content..) The Better Angels of Our Nature by Steven Pinker. I won't spend time reviewing Labours here, my love for the Poirot stories is already very much on the record and I was not disappointed! I will, however take a few lines to tell you about Better Angels. I'll start by saying this is a big book, weighing in at over 1000 pages and, despite an excellent job on Steven Pinker's part to make the content readable and more importantly, understandable there were points where I found the going heavy. This is not to say it's ever uninteresting, but Steven Pinker's argument here, that we are quite probably living in our species' most peaceful point in its history, is a big statement that requires a good deal of statistical analysis as well as, well thought through argument. Switching from history to psychology, statistical analysis to popular culture, this is an awe inspiring piece of writing. I would go so far as to say that it's the most interesting and important piece of non-fiction I've ever read. It's challenging in places, but ultimately convincing. 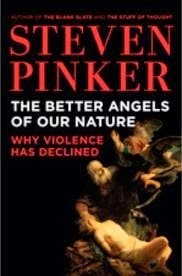 If you only read one non-fiction book this year, make it Steven Pinker's The Better Angels Of Our Nature! Brighton Rock by Graham Greene, a reread about thirty years on from the last time I read this classic piece of thrilling fiction set in my home town. Lieutenant Hornblower by C.S. Forester, as I thought I'd earned a little bit of Napoleonic era escapism! That's it for this week, happy reading!